Currently viewing the tag: "assessor"
Parcel data and values updated on Wednesday, March 21st, 2018. The 2017 assessments include the Supervisor of Assessments equalization factor of 1.0478. The assessments displayed are the FINAL 2017 ASSESSED VALUES, which include Board of Review decisions, as well as Township, County and State equalization. Thank you to all our neighbors who came out to the forum this past Saturday at the DG Public Library. It was an honor to meet each of you. We hope our presentation was helpful. Below please find a copy of our presentation for those who were unable to attend. The Township offices will observe special hours on Wednesday February 15, 2017, in observance of the passing of Township Assessor, Theresa Cockrell. The Assessors Office will close at 12 pm and the Supervisors Office will close at 3pm. Regular office hours resume on Thursday, February 16, 2017. Parcel data and values updated on 3/23/16. The 2015 assessments include the Supervisor of Assessments equalization factor of 1.0000. 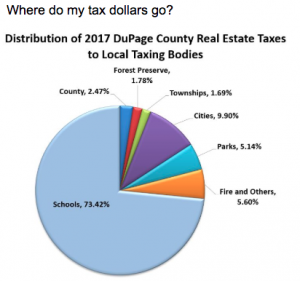 The assessments displayed are the FINAL 2015 ASSESSED VALUES, which include Board of Review decisions, as well as Township, County and State equalization.